Cabinet locks are products you can use to keep your documents and other important things safe in your office and home. Since most of your documents are very important, it should not be damaged or be placed into the wrong hands. One way for you to protect it is through the use of file cabinet locks San Diego. We can provide you different options of locks that can help in keeping your documents safe. If your cabinet do not have its lock, your important things such as documents are prone to go to the hands of a thief. Cabinet locks will provide you lots of benefits for your home, organization and business. Being aware about its importance will help your business, home and organization to be kept protected against damaging, stolen or unscrupulous acts for your documents. applications. Due to this, thieves target these documents which will cause emotional stress and inconvenience. Secure your personal information. Lock cabinets will protect the personal information on your document. Having a locking cabinet is the best way to secure and store your documents that contains information like account numbers, medical histories or social security numbers. It is a good solution to protect your home against crime. You can protect your client’s privacy. If you have a business in which your client’s privacy is very important, you can keep your files in your cabinet that contains sensitive information. The integrity of your business will depend on your ability to protect your client’s information. Therefore, safeguard these information through the use of cabinet locks. It can protect business information. Since most of the businesses have sensitive information and its paramount importance is to be placed in your file cabinet, cabinets that are locked will help your business to store the important customer data, product design and businesses process from your competitors. Maintain your business privacy. Business is not just a professional outfit who have information that are needed to be protected. There are lots of businesses who are not focusing on their profit wherein they want to have and maintain their privacy. Unless your business is legally required to present certain documents to the right authorities, you need to keep your document secured. Information such as fund raising, donors can be damaging to your business if it falls into the wrong hands. In choosing the right locking cabinet, you need to look for its features, dimensions, materials and forms. We can provide you the best locking features to provide security for your file cabinet. There are filing cabinets that provide master lock to all of its drawer while some cabinets have lock on each door. These are the best options for you to store your information. The latter is also preferred in storing mixed documents that have sensitive data. 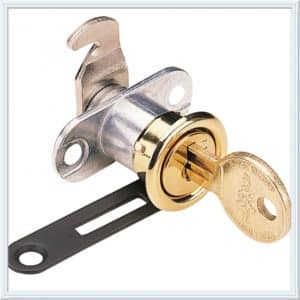 All of these locks mentioned can be provided by our company and we can also offer you other locks that offers good features. Safety. If you will look for best cabinet lock, ensure that it can hold volumes of files wherein you will not be prone to some risk. You need to ensure that you can open your locking cabinet smoothly without spending lots of effort and can be opened at any time. Fireproofing. Fires can destroy most of your valuable things whether in your homes or offices and it may include your files. One way to prevent it is you need to buy a fireproof locking cabinet that is made up from metal, treated with fire retardant. With this, you can ensure that your files are now safe from destructive fires. We can also provide you cabinet locks that are made from different materials that will ensure you that it will last long. We have locks that are made from wood that can fit to every home and can hold up to the long use for your cabinet every day. 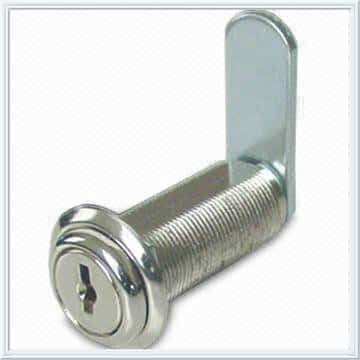 We can also provide you metal locks that are commonly used in different industrial establishments, can hold for instant use and is one of the common cabinet locks used by everybody. Lastly, we can provide you plastic locks that are very inexpensive and lightweight. Another factor you need to consider in choosing cabinet lock is its form. 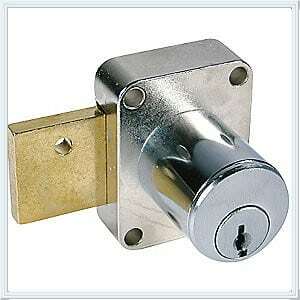 There are two main forms of lock and these are lateral and vertical. Vertical lock is narrow but short and takes little floor space while the lateral lock are wider, high and can hold large amount of files. people can use to detriment those individuals and companies. The integrity and success of lots of companies can rely on our products to secure information. Theft problem is one of the major problems where people needs to secure and protect their files and our locking cabinets is one of the good solutions to keep your personal information safe in your home and office. So, if you are looking for a locking cabinet. we can offer you numerous options available. You can choose between the lateral and vertical locking cabinets. We do have wood and metal lock cabinets that has different dimensions. We have the best features available, making locking file cabinets fireproof, safe to use and mobile. Everyone can benefit from having our locking cabinet but the challenge is, which one is the right for you? However, by being familiar with all of our available features for locking cabinet San Diego, customers can now shop for one successfully that will surely suit to your needs.